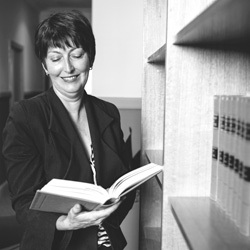 Lynette Judge has practised continuously at the NSW Bar since her admission in May 1984 and prior to her admission to the Bar was employed as a litigation Solicitor. She graduated in Law (LLB) from the University of Sydney in 1981. In the past few years her practice has been predominantly, but not exclusively, in the areas of Family and Defacto Relationship Law, Succession, Family Provision, Equity and Guardianship. Lynette was a founding member and is the current Head of Lachlan Macquarie Chambers at Parramatta. She conducts and appears regularly in mediations, is a member of the Australian Institute of Family Law Arbitrators and Mediators and is an Arbitrator appointed pursuant to Regulation 67B of the Family Law Regulations. 22.07.2016 Legalwise Seminars – Spotlight on Spousal Maintenance. Aspects of Preparation and Presentation of Interim Financial Applications. 10.09.2016 Advanced Family Law Day – College of Law – Effect of Time Delays on the Family Law Act. Challenging a Superannuation Trustee’s Determination. Recent Developments in Estate Matters – Update on Wills and Estate Matters – included reference to recent cases on Lawyer liability in will drafting and best practice, and Update on Section 79A – Watermann and Watermann.